"The business cards say hello to the future." What I like most about Knowee is that it allows me to develop and design a preselected electronic presentation card, besides that it also allows me to add the logo of the company in which I work, in addition to all my contact information, relevant data such as email electronic and telephone number, in this same way the application also allows the exchange of cards through various platforms such as text messaging, email, WhatsApp, Facebook, LinkedIn, etc. And without a doubt the best thing about the application is that it allows you to have your presentation card always updated at all times and only occupies 31 MB of memory. What I do not like about the application is that it does not allow saving business cards that we have in physical format, this would also allow us to keep business cards of people who are not users of the application or simply are not yet adapted to the use more and more everyday of technology in business and the labor market. A scanner that allows to store the cards in physical format is necessary from my point of view. It is a wonderful application that I recommend to all kinds of professionals who want to have the presentation cards in an organized way and within a click. This wonderful application has allowed me to store and have in an organized, practical and simple way the business cards of clients and colleagues, to use the information that they contend when I have needed it the most. It also allows me to have my own business card always up to date.
" An excellent application that allows the exchange of digital business cards." The best thing about this application is that it allows the creation of a digital presentation card which after being created can be managed and shared through the different technological means that exist today. The application offers the possibility of sharing the digital preset card through the different channels, by this I mean email, whatsapp, social networks or SMS, for example in the professional social network Linkedin more and more people are hanging their cards 2.0 to promote themselves, to establish commercial agreements and even to exchange information. All these benefits in a free application that occupies a minimum space of 3.1 MB, available in both Google Play and AppStore, I really love this application. One of the few failures that the application has is not having a scanner that allows you to store contact cards that are in physical format in a digital format, this would store information from people who do not use the application or who are reluctant to use the technology. The implementation of this scanner from my point of view would allow the application to be strengthened and also ends up convincing those who still do not use it. Knowee is an application that I recommend for all those professionals who use and exchange business cards, there really is no easier way to store and display business cards nowadays. The business cards created in Knowee have exceeded 140,000 views worldwide and the platform has 16,000 registered users, of which 10,000 already have theirs. Thanks to this application I have been able to design and share a virtual presentation card, which has meant a significant saving in terms of paper, in addition to which I have been able to store and show in an organized, practical and simple way the business colleagues' presentation cards, customers, suppliers and then use them when you need them most. In addition, thanks to the real-time editing, my presentation card is always updated. Knowee has now the ability to scan and recognize the text from paper business cards. Please, have a look to see if it meets your needs, we hope so. "The best way to exchange and store business cards today." Talking about Know.ee is, without a doubt, talking about a wonderful application that allows you to develop and design your electronic preselected card, it allows you to add the logo of the company you work in addition to all the necessary information to contact you, such as email and phone, also allows the exchange of pre-designed prepaid cards 2.0 through various platforms such as SMS, email, WhatsApp, Facebook, LinkedIn, etc. The best thing about Know.ee is that it allows you to have your business card up to date at all times. It is necessary for the application to scan and save contact cards in physical format, this would also store the information of people who do not use the application or who simply have not adapted to the use of the technology. This update from my point of view would allow to strengthen the application and finish convincing those who still do not use it. The application undoubtedly greatly simplifies the creation of a network of contacts. Know.ee is an application that I highly recommend to all professionals who want to store their contact cards easily without having to carry them. Thanks to this application you can store and display in an organized, practical and simple way the business cards of customers, suppliers and even competitors, and then use them when I needed them the most. It also allows you to have your presentation card up to date, allowing you to always edit it. We do now! try it!
" 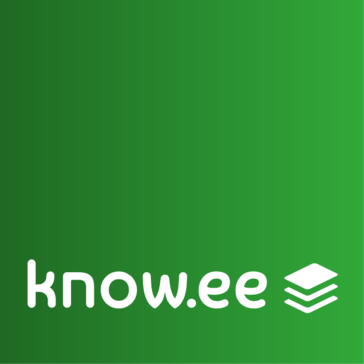 Know.ee: A new way to exchange business cards." What I like most about Know.ee is that it is a free tip software in which you only have to enter your information, then upload an image or logo and you will be ready to have an excellent presentation card. The best thing is that when you download the application, you can exchange your pre-established 2.0 card through various platforms such as SMS, email, Whatsapp, Facebook, LinkedIn, etc. It is excellent because it allows you to offer the real image of your card, with all the data it contains, so that those who receive it or download it can call it with a single click. I think that the application should implement an option where it is possible to scan and save contact paper cards that do not use the application and may never use it when they are not familiar with the technology. Implementing this option can be from my point of view an important point to win many more users. To all professionals in all areas I highly recommend this practical application that greatly facilitates the work of storage of business cards and the only recommendation that would make the application developers is the implementation of a scanner that allows to digitize business cards. physical presentation. This application provides a practical and easy way to store business cards for customers, suppliers, even store those of our competitors, let us use them at the necessary time. I am happy to let you know that we have included the ability to scan received paper cards and save them as a contact to your device (or not, depending on your needs). Now, adding all the corporate tools, we believe Knowee is now very useful for companies, not only individuals. "Knowee, The best application to exchange professional cards." The best thing about Know.ee is that it is free and you only have to enter your information and upload an image or logo to illustrate your card. When you download the App, you can exchange the 2.0 card through SMS, email, Whatsapp, Facebook, LinkedIn, etc. You are also offering the true image of your card, in addition to the data that is in it, so that they are downloaded, or call you with a click. The only recommendation I would make is to allow you to scan existing cards and digitize them. That would be really excellent and would allow the application to take a leap. Thanks for your review. You can scan received paper cards via the free Knowee app. Feel free to give it a go. Hope you like how it works. Just take a good picture. It's an innovative way to manage business cards. I really like the tools for creating and editing the card and how easy it is to manage it. It allows to organize the ones received from other clients or suppliers, I appreciate the ease with which I can share my own cards and all the options to do it: through sms, whatsapp, email, linkedin, etc. No matter what platform or social networks my clients use, I can share my information effectively. The search engine is fully functional! I don't lose my cards anymore! Definitely the software lacks more tools to personalize the business cards. Knowee is the best option to manage your business cards! It offers many options and I feel that little by little it will get better! It has potential and is innovative! As a freelance I need to always have many business cards at hand because I never know when I may need it! This software has helped me to save time and money even though I still have physical cards, since some clients haven't entered the era of difgital. However, some have asked me about the software and they are even using it !! I really like this application because it's very useful !. It's usual that just when you need a business card, don't find it or have to scan it or save the contact data manually. This app fixes that problem perfectly. I really like that it's easy to use and that I can create and share my own cards. I can share them through social networks, emails, whatsapp. It's free and I also save time and money since I don't have to print the business cards on paper. It allows making specific notes of the cards I receive and that's great because there are important details that can be forgotten and there're cards printed on a glossy paper that doesn't allow it to be written on it easily. Sharing them digitally is more sophisticated! I would like to have more editing options and be able to add a background image! Being able to add small animations would be great! I recommend it because it's an excellent way to manage business cards quickly and easily. As a freelancer I give and receive many business cards! This app helps me to organize them, to always take them with me and to share them easily and quickly! It's very useful! Obviously it has to improve many things, but it meets the objective and for me it's very good! "An intelligent way to save paper." What I like most about Knowee is that it allows me to create my own digital preset card, digital card that after being created can be shared through the different technological means that exist today such as email and social networks. Thanks to this valuable application your presentation card can be shared through the different channels that exist, from email, WhatsApp, social networks or SMS, for example, a clear example of this is that more and more users of the network social linkedin use digital presentation cards, it is also incredible that all these benefits can be obtained through a free application that occupies a minimum space of 3.1 MB, available in both Google Play and AppStore. One of the things that I do not like about this application is that it does not have a scanner that allows the storage and scanning of business cards that are in physical format, this would also store information of people who do not use the application or who are not familiar with new technologies. The implementation of this scanner from my point of view ends up convincing a large group of people who are still reluctant to use this application. Undoubtedly Knowee is an application that I recommend for all those colleges and professionals in general who want a new way to not only design but store business cards, I can affirm that at present there is no easier way to store and display cards of presentation. The number of views of the business cards created with Knowee has exceeded 200,000 across the globe and the platform has more than 20,000 registered users, of whom 15,000 have already created their digital presentation card. Thanks to this application, I can design and exchange an indeterminate number of business cards, which has meant significant savings in terms of paper, as well as allowing me to store customer and colleagues' business cards and then use them in the right moment Also, thanks to the real-time editing, I always have my presentation card updated. Lo que más me gusta es el poder compartir las tarjetas de presentación por cualquier medio de forma fácil y rápida. Creo que hoy en día la rapidez y lo digital van de la mano, y este software combina ambas. También creo que es una gran ventaja almacenar digitalmente las tarjetas y el proceso de búsqueda que ofrece este software que no se limita a una palabra clave, sino con cualquier palabra que recuerdes y con un almacenamiento en la nube. Las herramientas de edición pueden mejorar, le faltan mas funciones y sería ideal poder subir gif animados o vídeos. Considero que este software irá creciendo muy rápidamente ya que las tarjetas de presentación son muy importantes para cualquier empresa y para profesionales independientes. Esto, aunado a la era digital, es una excelente combinación y un excelente apoyo para los negocios. Hoy en día tener documentos en físico se está volviendo obsoleto y engorroso. El almacenamiento en la nube es lo que se está implementando en la mayoría de las empresas y negocios. Digitalizar las tarjetas de presentación es un paso mas a la era digital, ya que una tarjeta de papel se pierde, se traspapela, en cambio, nuestros dispositivos electrónicos los llevamos a todos lados. Es mucho más practico tener el tarjetero y compartir todo de forma digital. I like, first of all, the general idea of ​​this software. I think it is something new and a great contribution to technology, since they convert a traditional physical exchange into a novel digital exchange. I like the presentation card editor because it is simple and easy to use. It has many ways to share the cards and this is very important since we do not limit ourselves to a specific platform or the client is not obliged to download anything. I like the option to scan the cards and have them organized because it is common for cards to be lost. The software lacks many editing tools, add more elements and maybe animation, that would be great. I recommend it since it's a simple way to share the cards and also make sure that your potential client does not lose it since it will be on their devices. I designed my business card with this software on the recommendation of a colleague and I was really pleasantly surprised by its usefulness. It's great to be able to share whatsapp or social networks the business card and in a very simple way. I'm also organizing the received cards so as not to lose them. It is definitely very useful. Creating online business cards with ease. Nothing Specific. Would be good if there is an option to provide background image. Making business cards easy and sharing it online to associates. Thanks for your words! Good day. * We monitor all Knowee reviews to prevent fraudulent reviews and keep review quality high. We do not post reviews by company employees or direct competitors. Validated reviews require the user to submit a screenshot of the product containing their user ID, in order to verify a user is an actual user of the product. Hi there! Are you looking to implement a solution like Knowee?